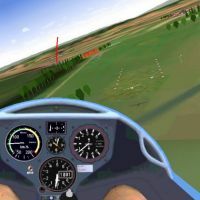 Der Segelflugsimulator - The Soaring Simulator - version 4 was developed by Detlev Schwetzler and Uwe Milde and published by themselves in 2001. 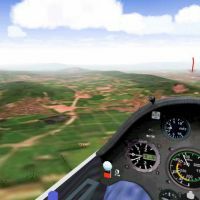 "SFSPC is a soaring flight simulator. It simulates the flight with a soaring plane on Windows computers. We use a very realistic modelation of the physical characteristics of a soaring plane. 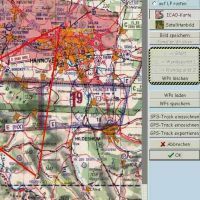 Manouvers, which you can fly with the real plane, can also be done with SFSPC. Take off, landing, thermal and ridge soaring as free flight or with evaluation are possible." glider pilots, who always wanted to try forbidden manouvers.